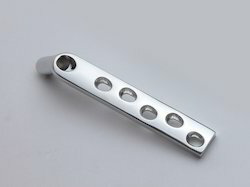 Manufacturer of a wide range of products which include bipolar hip prosthesis, dhs locking plate, austin moore prosthesis, lcp philos long/ short/ orthopedic implants, thompson prosthesis and cortical screws. By utilizing our years of experience, we bring forth a qualitative array of DHS Locking Plate 25 - 38 mm. The offered range is manufactured utilizing superior quality raw material and latest technology. Moreover, a team of our quality analysts conducts a series of quality tests on the entire range to seek out any possible defect. In tune with international standard, we provide this plate in various technical specifications, and at industry leading prices. 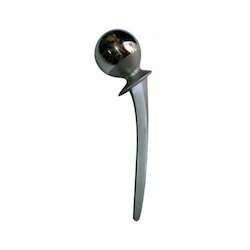 Manufactured in compliance with the international quality standards, these are fabricated using the finest grade raw material and advanced techniques. In addition to this, we inspect these products on certain parameters to ensure their noteworthy features. Apart from this, the offered products can also be availed by clients in various sizes and patterns as per their varied requirements. 5 mm & 6.5 mm Fully and Partially Thread Cancellous Head locking Screw that is designed with extra care in compliance with the set industry standards. These are manufactured using premium quality raw material which is procured from some of the trusted vendors of the market. 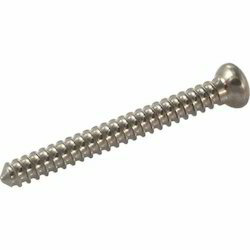 We use advanced machines and tools for the development of these screws to ensure their flawlessness.